These are a young group of people who are inspired by super heroes and Sci-Fi movies. 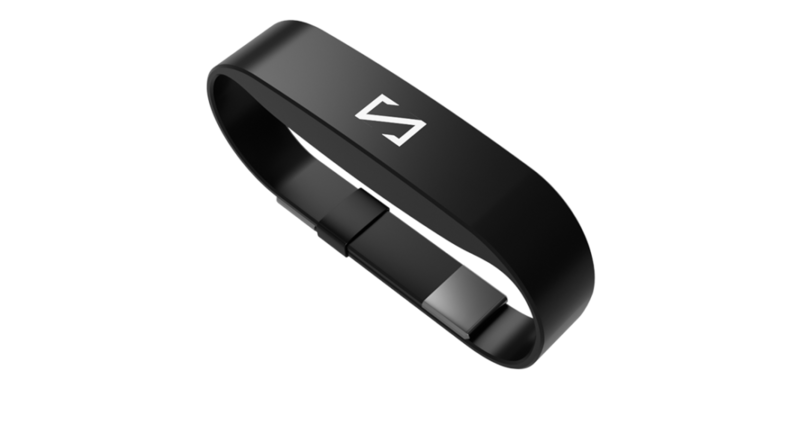 The company is called Vicara and they have created a nifty little device called The KAI. This band type expedient can be held in your hand and can control just about everything on your PC or laptop screen using hand gestures. We caught up with Adarsh Warrier, Co-founder of Vicara and maker of The KAI to understand what this device is all about and what new is happening at their end. 1) What were the inspirations behind building The Kai? 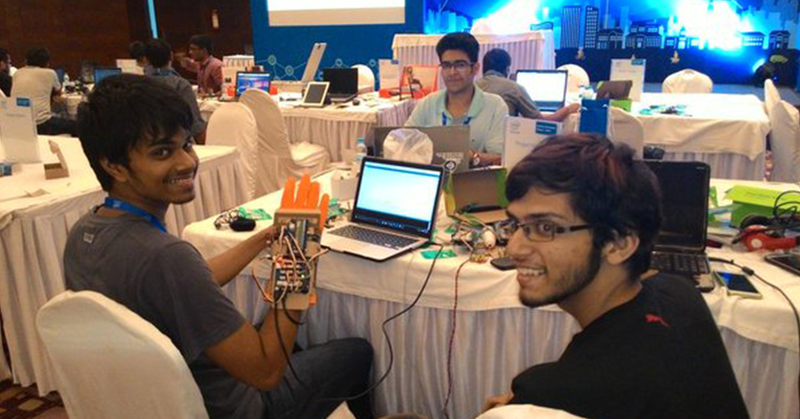 The idea for the KAI had initially started out as a hack project at an Intel Hackathon in Pune in August 2015 (3rd Year of Engineering). Abhishek and I are huge fans of futuristic technology and superhero gadgets. It had initially started out as a thought that, wouldn’t it be cool, if it was possible to control all kinds of technology like lights, robots, computers, etc; with a glove on your hand? Within 24 hours, we had created a basic prototype on a KITCHEN GLOVE that could control a light and a presentation on a PC. When the results were declared, the winner of the event had created a prototype that could just control lights. We later realized we were ineligible for the prize because we didn’t have PAN Cards. It was a demotivating moment but inspiring in the essence that the idea had recognized potential. Both of us were in our 3rd year of engineering from VIT university at that time and the idea had remained dormant for about 6 months until we got an opportunity to pitch at VIT’s first ever business plan competition called StartupVIT. We realized this was a great stage to test the business potential of this project as well and so we created a business plan to pitch the idea of KAI. We were adjudged the runner ups in that competition and we won a prize money of Rs. 30,000. At that time, Abhishek and I had a brainwave to put that money into developing the product and making a company instead. We realized that this product had the potential to transform into the future standard of digital interaction! Both of us mutually agreed that we will keep developing till the money runs out. Fortunately, we managed to move on to win various grants and prizes where we raised over 20.3 lakhs equity-free and our seed round. We were adamant that our company name and product name should be inspired by Indian origins. That is precisely how the name “Vicara” came out. It was derived from the sanskrit word, ‘Vichar’, which meant idea or thought. Our product, the KAI, means ‘HAND’ in Tamil. 2) How does the Kai work? What is the tech behind it? Vicara is a human augmentation startup working to a making disruptive wearable technology that can enhance and augment the capability of humans to work with their real and digital surroundings. Our first product is called the KAI – The world’s first gesture-based workflow automation device. It enables professionals to seamlessly interact with their digital environment. The Kai harnesses natural body language and drastically enhances productivity by creating a truly revolutionary gesture-based computer interaction experience. The product is essentially a sensor based wearable that uses a 9 axis IMU ( Invensense) and invisible light sensors to sense the movement of your hand and fingers. The data is relayed via a Bluetooth module to our proprietary desktop app. The uniqueness of the solution is dual fold. On the hardware side, the unique non-obtrusive finger tracking algorithm enables the device to accurately measure the position of the fingers as well as the hand without the use of intensive image processing. On the software side, the KAI provides complete customizability from within its application. The differentiated algorithm enables KAI to be compatible with ANY desktop app from the get go. 3) In which sectors do you see it being used the most? The main use case of the product is to augment the capability of creative professionals to interact effectively with their digital environments. For eg: A CAD designer can intuitively interact with his 3D models on Solidworks or MAYA as if the models were actually in their hands. The product has a potential use case to be integrated with any Bluetooth enabled device for digital or hardware interaction in the future. The potential applications of the wearable can revolutionize the way we play music, games, VR, AR and even the way we interact with drones and robots. 4) In the world where things are quickly moving towards augmented and virtual reality, where does the Kai fit in? Gesture recognition technology has been a staple in Science fiction films since a long time. We’ve also witnessed quite a few of their incarnations in real life with the likes of Nintendo Wii, Kinect and Leap Motion. However, we are yet to see Gesture recognition technology being applied seriously in our lives for applications other than gaming and maybe robotics. Gesture recognition has the potential to literally augment every kind of workflow in our life as gestures are a natural extension of our body language. This is exactly where the KAI fits in the picture for AR and VR technology. The ability to interact with the machines of tomorrow using an interface that natural has the potential to completely revolutionize our future. With our first product, the KAI, we aim to provide the consumer with exactly that: A revolutionary interface for your machines that tap into the most basic form of communication: gestures. Since the turn of the decade, there has been a gradual change in the outlook of consumers towards adopting future forward technologies in India. With the current encouragement of the government towards making in India, the situation is ripe to develop innovative technologies in the hardware domain. The rise of new varieties of digital interaction ranging from AR/VR glasses to smart interfaces, there is a pressing need to cater to the digital age consumers which gives our company the potential of massive scalability. As per Markets & Markets the combined value of the Robotics, Augmentation and AR/VR market is projected to be a 161-billion-dollar industry, which is more than the current value of the Indian IT Industry. We aspire to ride this new wave of innovation with our augmentation technologies. 5) How early will the device be available to developers? And are you already working with some? Our product is currently available for pre-order on our crowdfunding campaign on Indiegogo. Our developer edition can be made available to users as early as September this year. We are already working with a few developers in a closed beta for feasibility testing. 6) Is gaming going to be a part of The Kai program? Gaming is definitely going to be an integral part of the KAI portfolio. Gaming is the most engaging way we interact with our digital environments today. To be able to enhance or augment this interaction experience in any way possible is a dream come true for any gamer. With the KAI, we can achieve exactly that. We are proud to announce that we have already had successful internal test runs for games like GTA V, Farcry, Asphalt 8 and casual games like Fruit Ninja and Mario. We have also completed successful trials with VR Games and simulation software (Like Flight Simulator) as well. 7) How big is The Kai team and the average age? The KAI team is currently 7 members strong with an additional intern team of 10. The average age in our team is roughly 20 years. 8) We do see you have raised some funds. Who are your initial investors? Our initial investors are Mahesh Bhalla and Michael Marks. They represent the seed fund at the Startups Club Incubator Network (SCIN) based out of Bangalore. Our Investors, Mr. Mahesh Bhalla and Mr. Michael Marks, with their combined business experience of more than 50 years ensure that we aren’t reinventing the wheel. Mr Bhalla comes to the game with extensive experience in Distribution and Retail, while Mr. Marks (Who resides in China) comes with a solid experience in Manufacturing and Finance. Together, the experience gives us thorough access to knowledge and resources that help navigate the greatest pitfalls of the Hardware Industry.